WESTMINSTER, Colo., Jan. 14, 2019 (Maxar PR) — Maxar Technologies (NYSE:MAXR) (TSX:MAXR) (“Maxar” or the “Company”), a global technology innovator powering the new space economy, today announced the appointment of Daniel Jablonsky as President and Chief Executive Officer of Maxar, effective immediately. Mr. Jablonsky, who most recently served as President of DigitalGlobe, a Maxar Technologies company, will also join the Maxar Board of Directors. He succeeds Howard Lance, who has resigned from his roles as President and Chief Executive Officer and as a Director of Maxar. General Howell M. Estes III, Chairman of the Maxar Board, said, “Dan has been a key member of the management team since his arrival to DigitalGlobe in 2012 and has taken on increased responsibilities following the closing of the Company’s merger. Dan’s experience as President of DigitalGlobe, after previously serving as both General Counsel and General Manager of the U.S. and International Defense and Intelligence businesses, and participation in Maxar’s executive leadership, provides him with a deep understanding of Maxar’s businesses, operations and strategy. WESTMINSTER, CO, Jan. 7, 2019 (Maxar PR) – Maxar Technologies Inc. (NYSE:MAXR) (TSX:MAXR) (“Maxar” or the “Company”), a global technology innovator powering the new space economy, today reported that its WorldView-4 satellite experienced a failure in its control moment gyros (“CMGs”), preventing the satellite from collecting imagery due to the loss of an axis of stability. 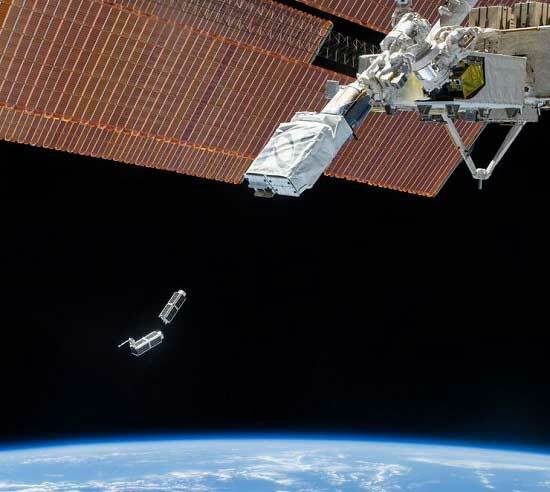 LOGAN, Utah — The head of NASA’s science programs unveiled an $100 million per year initiative on Monday focused on the use of small scuebce satellites that includes data buys from three spacecraft constellation operators. Thomas Zurbuchen, associate administrator for NASA’s Science Mission Directorate, said the funding would go to targeted space science, technology and educational projects. He made the announcement during a keynote address at the annual Small Satellite Conference in Logan, Utah. A key element of the initiative is the purchase of Earth science data from companies with satellite constellations in Earth orbit. 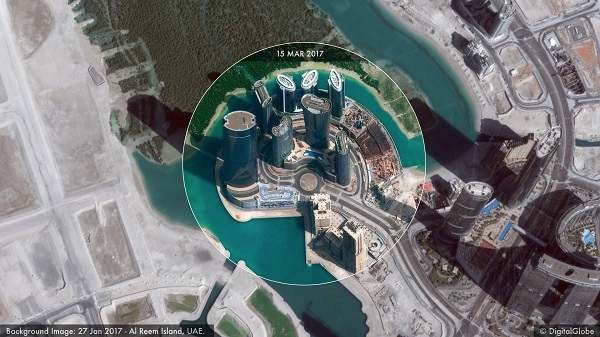 Zurbuchen announced that the first purchases will be made from DigitalGlobe, Planet and Spire. He did not disclose the amounts of the awards. Zurbuchen said NASA’s goal is to work with the growing small-satellite industry, not to compete with it. The space agency will invest in early-stage research and development to advance and test new technologies. Zurbuchen also announced a new opportunity for small-satellite technology demonstrations focused on heliophysics that will be funded at up to $65 million. 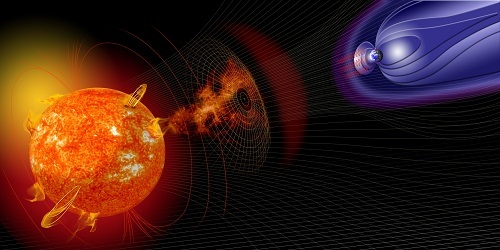 “This opportunity will ultimately help deploy #SmallSat technologies to better understand @NASASun science and protect Americans by protecting US technological infrastructure on Earth and in space from the perils of space weather,” he tweeted. Zurbuchen said NASA plans to provide more launch and rideshare opportunities for small satellites built by government, commercial and international partners. 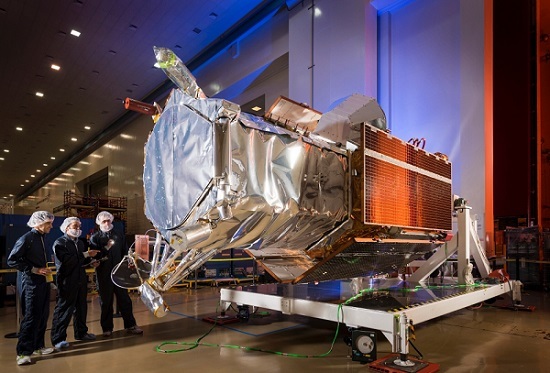 WESTMINSTER, Colo. (DigitalGlobe PR) — DigitalGlobe, a Maxar Technologies Ltd. company (formerly MacDonald, Dettwiler and Associates Ltd.) (NYSE and TSX: MAXR), today announced it has contracted with SpaceX to launch the next-generation WorldView Legion satellite imaging constellation. SAN FRANCISCO and VANCOUVER, BC – MacDonald, Dettwiler and Associates Ltd. (“MDA” or the “Company”) (TSX: MDA), a leading global provider of advanced space technology solutions for commercial and government markets, today announced senior executive appointments following the completion of MDA’s acquisition of DigitalGlobe, Inc. (“DigitalGlobe”). The appointments strengthen and position the Company to serve the U.S. government, international governments and the Company’s commercial customers as a mission-critical partner with an expanded portfolio of space technology solutions. SAN FRANCISCO and VANCOUVER, BC (MDA PR) – MacDonald, Dettwiler and Associates Ltd. (“MDA” or the “Company”) (TSX: MDA), a global communications and information company providing technology solutions to commercial and government organizations worldwide, today announced it has completed its acquisition of DigitalGlobe, Inc. (“DigitalGlobe”), the global leader in high resolution Earth imagery and information about our changing planet. The merger creates the leading integrated commercial provider of satellites, imagery and geospatial solutions to commercial and government customers worldwide. The newly combined company will offer a broader set of space-based solutions, increased scale and a more diversified revenue base. WESTMINSTER, Colo. (DigitalGlobe PR) — DigitalGlobe, Inc. (“DigitalGlobe”) (NYSE: DGI), the global leader in Earth imagery and information about our changing planet, today announced its preliminary results that its shareowners overwhelmingly voted to approve the Company’s proposed merger with MacDonald, Dettwiler and Associates Ltd. (“MDA”) (TSX: MDA) at a special meeting of DigitalGlobe shareowners held today. MDA separately announced today that its shareowners also overwhelmingly voted to approve the issuance of MDA common shares to the holders of DigitalGlobe stock and certain equity awards in connection with the merger at a special meeting of MDA shareholders. As previously announced, the transaction is expected to close in or shortly after the third quarter of 2017, subject to approval from the Committee on Foreign Investment in the United States (“CFIUS”) and other customary approvals and closing conditions. PALO ALTO, Calif. (SSL PR) – MacDonald, Dettwiler and Associates Ltd. (“MDA” or the “Company”) (TSX:MDA), a global communications and information company, today announced that its subsidiary Space Systems Loral (SSL) was selected to provide a next-generation satellite constellation for high-resolution Earth imaging to DigitalGlobe, the global leader in Earth imagery and information about our changing planet. Called WorldView Legion, the Low Earth Orbit (LEO) satellites will more than double DigitalGlobe’s high-resolution capacity in important regions. The contract is valued at several hundred million U.S. dollars..
GLASGOW, UK (Bird.i PR) — Bird.i, the premiere global platform for accessing the world’s best satellite, airborne and drone imagery, has today announced that it has signed a partnership agreement with leading high-resolution satellite imagery leader DigitalGlobe, Inc. (NYSE: DGI). SAN FRANCISCO and WESTMINSTER, Colo. – February 24, 2017 – MacDonald, Dettwiler and Associates Ltd. (“MDA”) (TSX: MDA), a global communications and information company providing technology solutions to commercial and government organizations worldwide, and DigitalGlobe, Inc. (“DigitalGlobe”) (NYSE: DGI), the global leader in Earth imagery and information about our changing planet, today announced they have entered into a definitive merger agreement, pursuant to which MDA will acquire DigitalGlobe for US$35.00 per share in a combination of cash and stock. The transaction values DigitalGlobe at an equity value of approximately C$3.1 billion (US$2.4 billion), and an enterprise value of C$4.7 billion (US$3.6 billion), including assumption of DigitalGlobe’s C$1.6 billion (US$1.2 billion) in net debt. The transaction has been unanimously approved by the boards of directors of both companies, and is expected to close in the second half of 2017. WESTMINSTER, Colo., Feb. 7, 2017 (DigitalGlobe PR) — DigitalGlobe, Inc. (NYSE: DGI), the global leader in Earth imagery and information about our changing planet, announced the growth of its ecosystem of content producers and consumers who leverage the Company’s Geospatial Big Data analytics platform, GBDX. With this increase in ecosystem partners, GBDX solidified its leadership position. WESTMINSTER, Colo. (DigitalGlobe PR) — DigitalGlobe, Inc. (NYSE: DGI), the global leader in earth imagery and information about our changing planet, today announced that the WorldView-4 satellite successfully completed in-orbit testing and calibration and began serving its first direct access customer on Feb. 1. Additional direct access customers will be added to WorldView-4 service throughout 2017. WESTMINSTER, Colo.(DigitalGlobe PR) — DigitalGlobe, Inc. (DGI) today announced the completion of its new senior secured credit facility that reduces the interest rate and extends maturities on the company’s debt, with a new seven-year $1.275 billion senior secured credit facility and a new five-year $200 million revolving credit facility. The new term loan matures January 2024 and bears interest according to a leveraged-based pricing grid, initially set at LIBOR plus 275 basis points, with a 75 bps LIBOR floor. The revolving credit facility matures January 2022 and will be undrawn at closing.